Just like the first release of your product, your first stab at pricing will probably be ugly, buggy, and it might even turn off a few potential customers. And that’s okay. Few, if any, wildly successful software as a service companies launch with perfect pricing. Instead, they aim to perfect it over time. B2C and B2B software companies like Netflix, Twilio, and SendGrid have all iterated their pricing models as they’ve improved their core product, learned what their customers value, and extended their product offerings. Treating your pricing model with as much scrutiny as your product is one of the most powerful levers to improving a SaaS startup. While healthy and successful SaaS businesses have a lifetime value to customer acquisition cost ratio (LTV:CAC) of at least 3:1, those who continuously iterate and optimize pricing sometimes push that ratio beyond 11:1, skyrocketing their company’s growth rate and profitability. 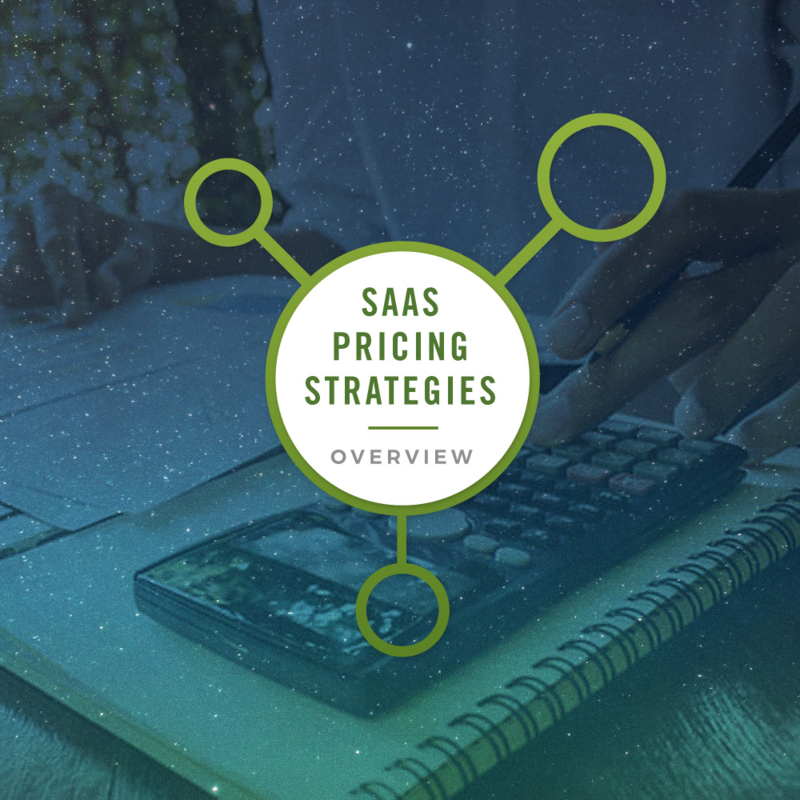 An important part of establishing your first SaaS pricing model is understanding four basic SaaS pricing strategies: cost-plus, value-based, competitive, and customer survey pricing. Pricing your product at a certain margin above your costs. 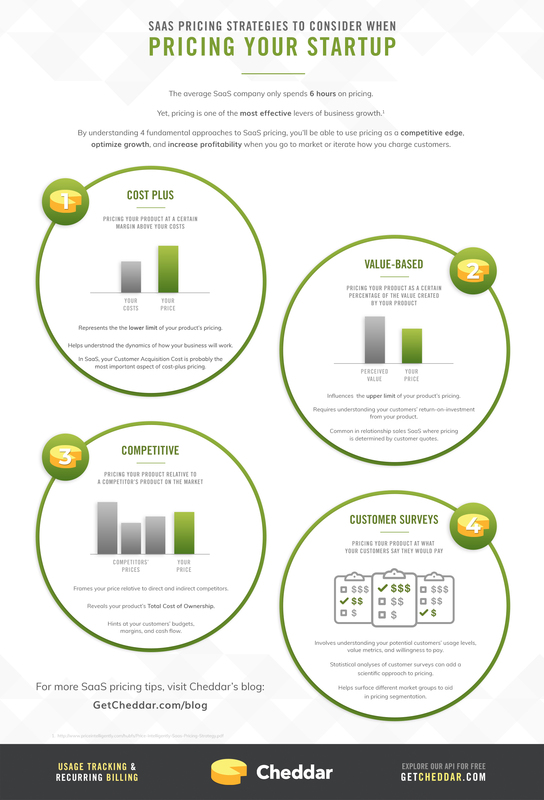 Cost-plus pricing means you don’t need to survey customers. You only need to know your internal expenses. And generally, not communicating with your customers is a bad idea. Imagine trying to find product-market fit without talking to customers. The same is true of finding “price-market” fit. Cost-plus pricing’s poor reputation is dangerous because it’s the first SaaS pricing strategy founders need to understand. As competition rises in any market, some level of commoditization will occur bringing prices closer to cost-plus. And while this might take years to happen, it’s important to understand that your business will still work. Understanding your business’s price at cost-plus is easier said than done. It’s too easy to overlook significant costs that should be included in the approach, especially the cost of customer acquisition. 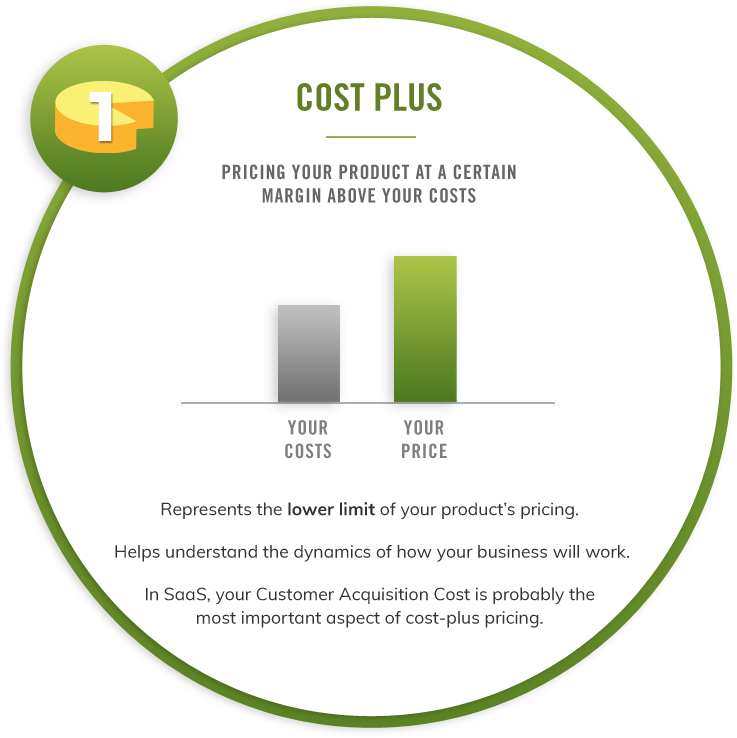 A large chunk of cost-plus pricing is determined by your customer acquisition strategy. In SaaS, gross margins (i.e. revenue – the cost of goods sold) are high enough that the cost producing and delivering each additional unit becomes irrelevant. And the biggest impact on your customer acquisition cost is how you decide to sell your product. Relationship sales as a SaaS customer acquisition strategy cause a relatively high customer acquisition cost. Some of these engagements can easily cost upwards of $2,000-$3,000 per potential customer. Due to this highly personalized and time-intensive approach, companies that acquire customers through relationship sales often must charge at least $1,000-$1,500 per month. Depending on the product’s churn rate and customer lifetime value, some companies can get away with charging less. Self-service, or self-signup, as a SaaS customer acquisition strategy can often be seen in the same industries as relationship sales SaaS. The price of their software, however, is often much lower because of their lower relative customer acquisition cost. Supporting those on free trials or freemium accounts. Due to this content and advertising-driven approach, some self-service SaaS companies could charge as low as $5 or $10 per month. For this to work, they expect to acquire relatively more customers—“flies” or “mice”—through their marketing efforts. Similarly, if they expect to acquire relatively less customers, they’ll likely need to charge more, starting at $25-$100 per month. Pricing your product as a certain percentage of the value created by your product. Value-based pricing requires understanding what you do and what the return on investment is for your customers. In B2B, your product’s return on investment is a function of its ability to grow your customers’ revenue or decrease their expenses. From an expense perspective, your product could help customers save time on a particular task, or money on outsourcing. Regardless, if your product impacts your customers’ top or bottom line, it’s important to do an analysis of value-based pricing. You can start by pinpointing the value metrics your product impacts and the value associated with that metric. 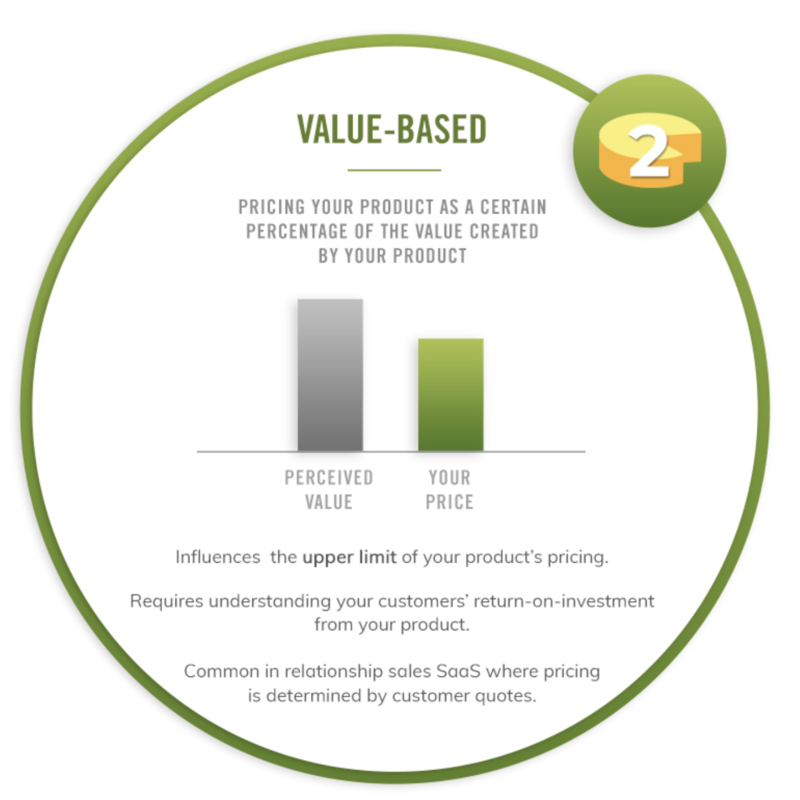 Value-based pricing is most important if you acquire customers through a relationship sales process. This is because the value of your product likely differs between customers and you’re able to customize contracts . B2C value-based SaaS pricing is more subjective than B2B and can be hard to apply practically, but the same concepts apply. The biggest difference is consumers’ value metrics are usually harder to quantify and assign economic value than business’ value metrics. For example, it’s relatively easy to understand the economic value of a B2B product that increases an employee’s productivity. Time has a clear, easily quantifiable economic value tied to a salary. On the other hand, it’s relatively hard to understand the economic value of a B2C product that increases consumer happiness by 10% because there isn’t a clear, easily quantifiable economic value tied to happiness. Because consumer value is subjective, it’s likely easier to start with survey-based and competitive pricing analyses. Pricing your product relative to a competitor’s product on the market. While being one of the most often used pricing strategies, competitive pricing can also be one of the least effective SaaS pricing strategies. This is because it contradicts the exact reason you went into business in the first place. Typically when you launch a new business, you do something inherently different than your competitors. You would not expect your customers to use both your competitor’s product and yours. Doing the same thing and charging a different rate erodes healthy SaaS margins, contributes to the commoditization , and lowers every company’s cost-plus prices in the long-term. 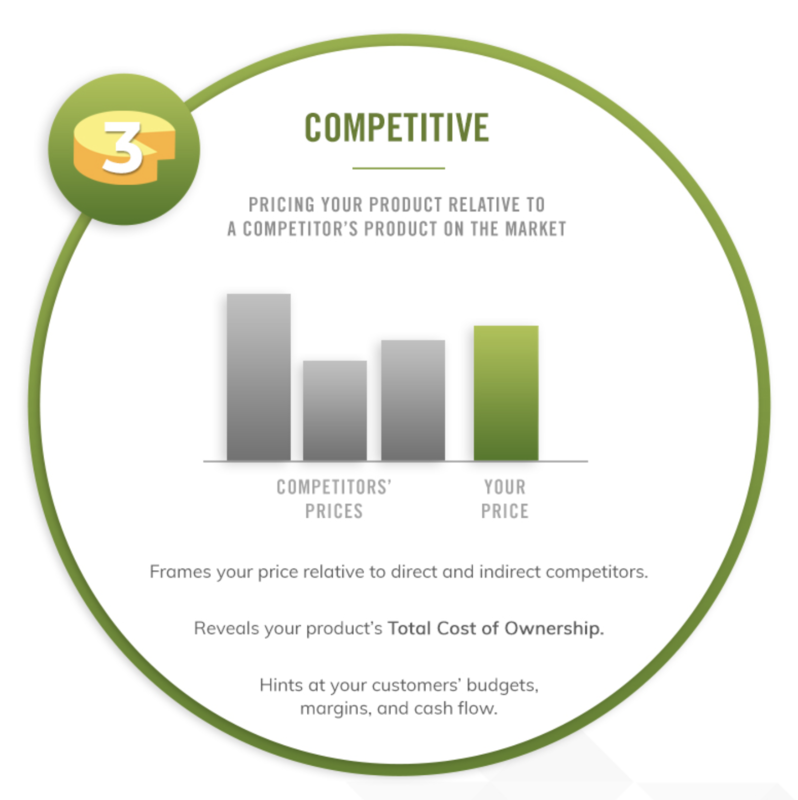 If there is little direct competition in your market, competitive pricing can be used to understand what your customers typically pay for in your market, the budget authority of your customer, and the margins and cash flow at which your customer operates. Pricing your product at what your customers say they would pay. Current or potential customers are the best judges of how much your product should cost. 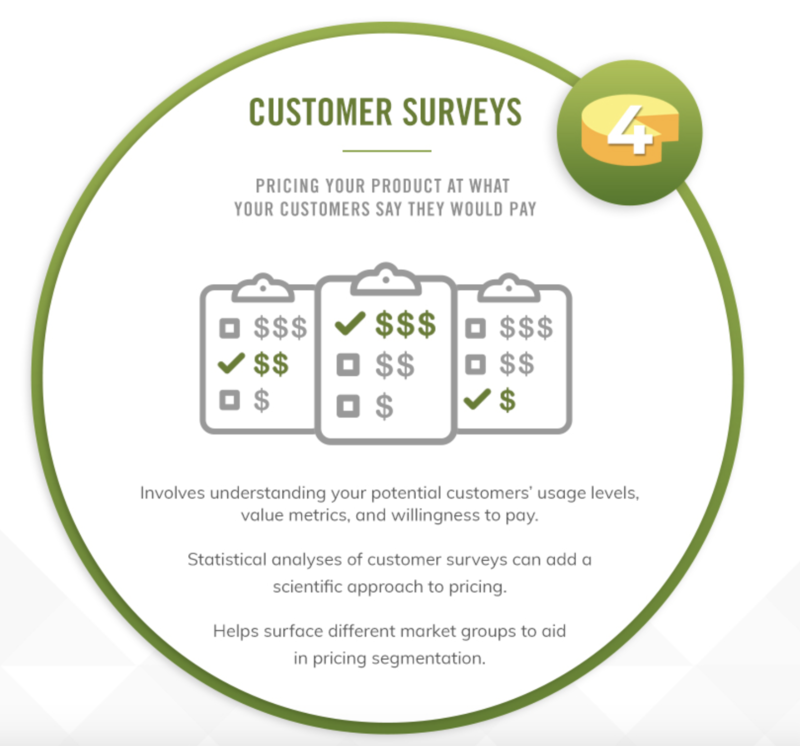 Customer survey pricing requires asking these customers what they would pay for your product and finding patterns in the responses. When surveying, you’ll often talk with potential customers who don’t know about your product yet. It’s important to start conversations with a concise product description before diving into any company or product-specific questions. The goal of your customer survey is to determine potential customer usage levels, the value metrics that your potential customers think about, your customer’s willingness to pay, and your customers’ buying habits. After collecting responses to your survey questions, you’ll likely see some patterns emerge, perhaps among specific industries or groups of companies. To get a more concrete result form your surveys, it’s useful to run a basic statistical analysis to find the average willingness to pay, the coefficient of variation across various features of your product, and eventually, a potential price point for your product. There’s no one pricing strategy that works for everything. Using some of these strategies, however, can help you get started and frame your mind to treat pricing like product development—continuous, iterative, and influenced by customer feedback. If you’re ready to apply these strategies to price your startup or iterate your pricing, sign up for our Pricing Bootcamp. Over the free email course you’ll receive templates, example spreadsheets, and other information that will walk you through each of these strategies step-by-step. Billing built for developers. Cheddar is a usage-based billing platform that helps you track customer activity, iterate your pricing, and optimize your revenue so you can focus on building awesome products, not billing for them. Made with ❤ from the Midwest.